Bulldog Energy Group follows best practices and exceeds safety standards by being COR certified, as well as through membership with ISN and Comply Works. We provide a comprehensive orientation program for our staff and operators, and continuous training in the field. Every new hire at Bulldog is required to provide an D&A test before hire. Our comprehensive orientation process ensures that employees are thoroughly orientated to our organization, are competent to fulfill their job responsibilities in a safe manner, and understand their rights, responsibilities and roles with respect to workplace safety. All employees in safety sensitive positions must pass a pre-employment drug and alcohol screening test. We also conduct reasonable cause testing. In addition, we test as per customer requirements, i.e. pre-access and post-incident. Our in house training facilities enable us to fulfill customer specific online orientation requirements quickly and efficiently. We train employees to be proactive and use our BARC system to become safety leaders and report safety observations. We use positive and negative safety observations to document and recognize trends, and take steps to make our work environment as safe and productive as possible. Employees are required to report all incidents and near misses, and are subject to progressive discipline if this does not occur. We conduct thorough investigations, analyze what has occurred; and learn from each event to improve our HSE program, prevent reoccurrences, and eliminate unsafe conditions. In the event that employees are not able to perform their regular duties, we offer modified work as appropriate, as well as a rigorous disability management program. 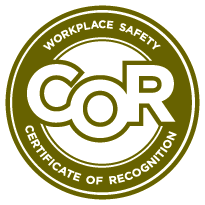 The Certificate of Recognition program is available to all members and associate members of the ACSA from owner/operators to large corporations and is administered by the Alberta Construction Safety Association. Comply Works is proud to provide Safety Codes Inspections, Infrared Inspections, and Arc Flash Analysis. The safety association for the upstream oil and gas industry in British Columbia, Alberta and Saskatchewan. Provide quality advice and education for the construction industry that will reduce human suffering and financial costs associated with workplace incidents. Actively supports the involvement of workers, employers, researchers and educators in helping to improve workplace health and safety. WorkSafeBC is dedicated to promoting workplace health and safety for the workers and employers of this province. They consult with and educate employers and workers and enforce the Occupational Health and Safety Regulation. The provincial agency that delivers workplace insurance to Saskatchewan employers and benefits to Saskatchewan workers when they are hurt at work. Their legislation, The Workers' Compensation Act, 2013, describes the workplaces that we cover and the benefits they provide. 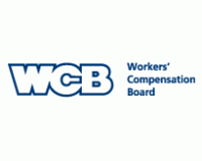 The Manitoba WCB administers both compulsory and optional no-fault insurance for workplace injuries to workers and employers in the province. Its primary function is to provide assistance to workplaces and workers who are injured on the job through both compensation and return to work services.